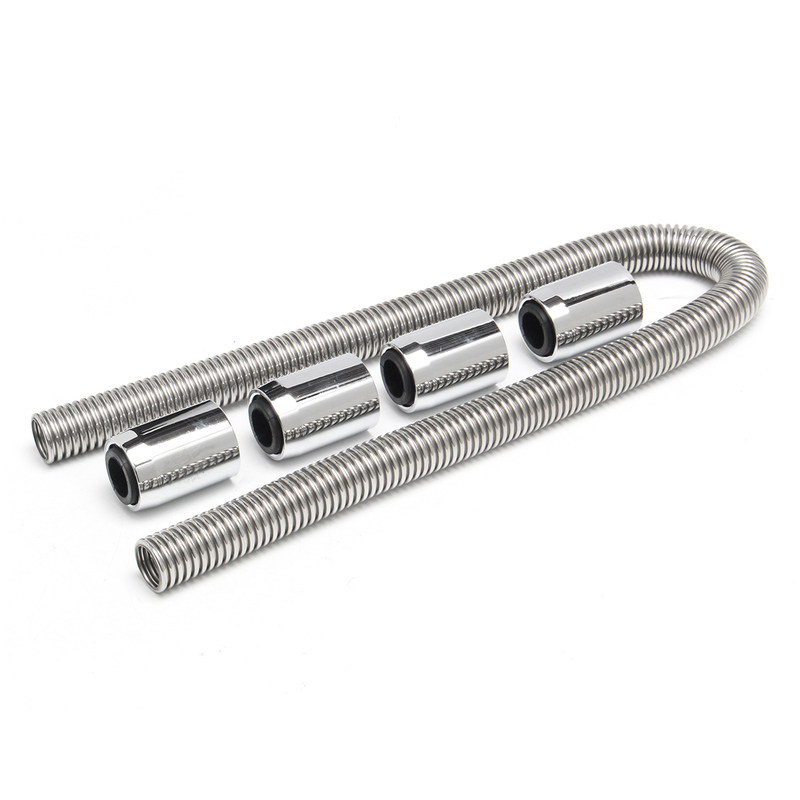 1.48" stainless steel universal flex hose kit. 2.Kit contains everything as shown. 3.This kit can be used with 1 1/4", 1 1/2", or 1 3/4" radiator necks. 4.Kit contains enough ends for 2 lengths of hose. 5.Flexible design eliminates the hassle of finding a rubber hose with just the right bends. 6.Stainless hose will not blow or rot out like a rubber one.